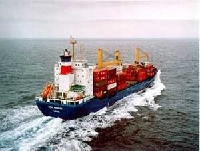 We are A Famous Name in the Shipping Field in Egypt and Elder Company which was Established in 1980 and Acting. Many big and excellent owners All Over the World, As we are Proud that any owners deal with our company keeping the Business relationship. Our Company working around the clock 24 Hours 7 Days. Our Target convince ships owners and crew,therefore, Doing all the Best to achive our target.